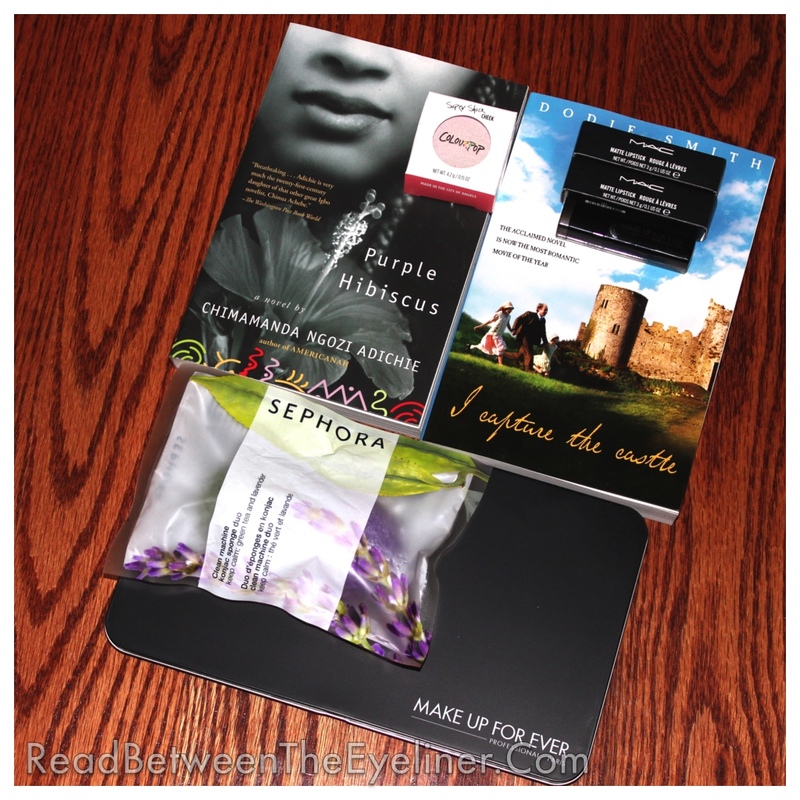 This entry was posted in Beauty, Books and tagged bbloggers, Books, bookworm, brownbeauty, giveaway, GoodReads, literature, makeup, skincare. Bookmark the permalink. All time favorite beauty product would be Milani Matte Glam lipstick but that could change soon. Congrats on your growing blog – it’s so exciting isn’t it! My holy grail makeup product is my revlon mineral foundation – I wear it almost everyday! Holy grail makeup would mlbe MAC studio finish concealer! Can’t live without it! My holy grail product is mufe color corrector in number 20. i liked your facebook page under ericca brock. Congrats on the success of your blog! 100 followers is a huge step! My all-time favorite book is 1984. I can’t wait to read Chimamanda’s book. My HG is Laura Mercier’s Tightline Cake Eye Liner. I’ve been using it for 10+ years! My favorite book is Persuasion by Jane Austen, I’ve re-read it so many times! My HG is my LA. glace lip paints..i love my seduce shade! Congrats on reaching 100 subscribers! I came across you blog due to Google, and I’m extremely happy I found it. My holy grail product is Nars Taj Mahal blush. It’s an amazing orange color that pops on my chocolate skin. Kevyn Aucoin Sensual Skin Enhancer ! The best product i’ve ever tried, it has full coverage and you can use it as a concealer, or mix it with your moisturizer to make a perfect foundation ! It is pricey, but it deserves every penny ! Congrats on your blog’s success 🙂 My holy grail product at the moment is the current foundation that I’ve been using for the past several months, which is the Urban Decay Naked liquid foundation. It goes on very nicely. I’m following on wordpress @showstopper474 and liked you on Facebook Julie Raye Rod. I love my Urban Decay Shadow palette. The colors are so me and I love switching up my looks every day. Following on wordpress – lindilala and facebook Linda R.
I really love my Urban Decay heavy metal glitter eyeliner. Holy grail product is my anastasia hills contour kit! I feel like I don’t know enough about make up to have an all-time favourite, it changes so frequently. But BOOK(s)…well I’ma mention 2 as I clearly have an issue with doing as I’m asked! I took ages to respond to this because I really had to think long and hard about this. Tsitsi Dangarembga’s Nervous Conditions as it calls out to my love for post-colonial and coming of age books all at the same time. I really enjoyed this book, it only just pipped ‘Purple Hibiscus’ to the post on this though. Second book is a completely different kind – Margaret Atwood’s A Handmaiden’s Tale. Something about that book had such an effect on me, it speaks to my inner activist and I thought it was so cleverly done. It’s got a fantasy element to it that I just love and get’s my feminist juices going.